Since seeing Bruce Springsteen & the E Street Band play live for the first time in 1975 at New York City’s Bottom Line night club, he and the band have taken up significant space in my life. In addition to attending shows (tonight was #57), the space devoted in my study to Springsteen studio and live recordings, books, and magazines written about him is staggering. Along with Elvis Costello, I have devoted a mass amount of time following the careers of these two magnificent artists. To this day, both maintain active careers that continue to satisfy me year after year. 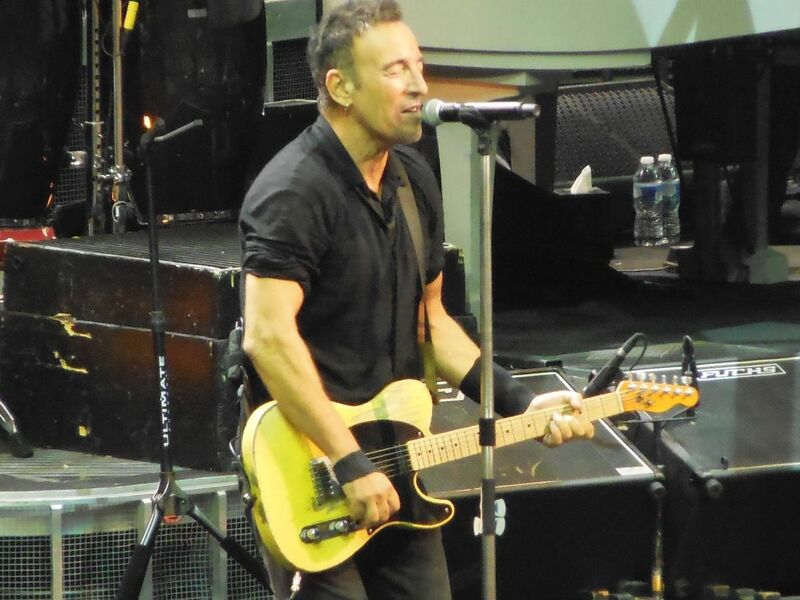 There is no better place to spend three hours than at one of Springsteen’s concerts. While tonight’s return to Music City was no exception, I will attempt to explain why it wasn’t my favorite. 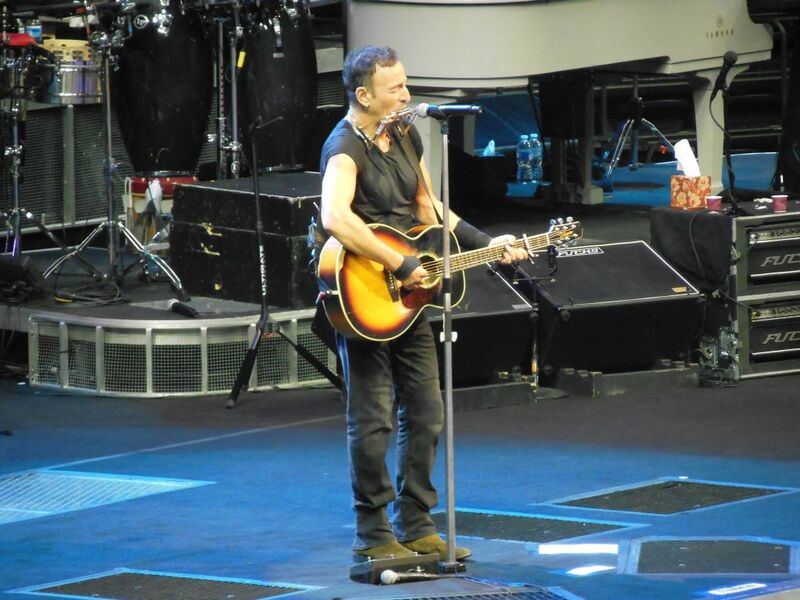 Early on in his career, Springsteen created the mold for never playing the same show twice, and he has never been afraid to throw out his planned set list. Night after night, he is likely to add something new from his vast catalog including songs that he seldom or never played live before. 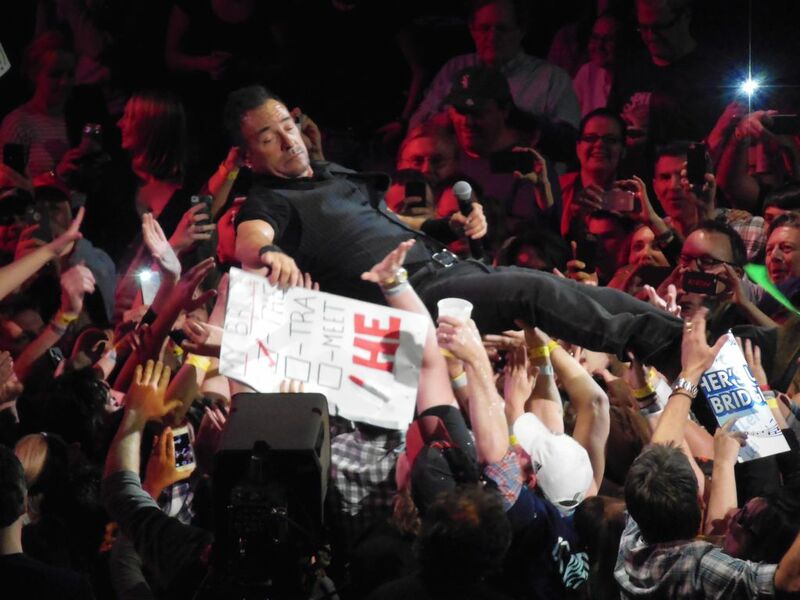 In recent years, the fans themselves have gotten involved in the process by bringing homemade signs to influence the process. 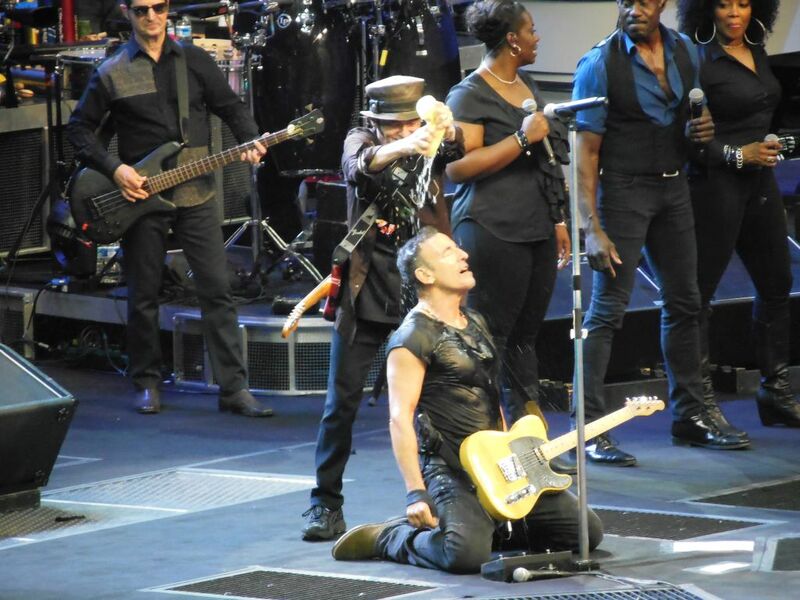 This has now has become a regular part of the show, and Bruce seems to love it. It often includes a nightly challenge for someone to “stump the band” with a cover song request. 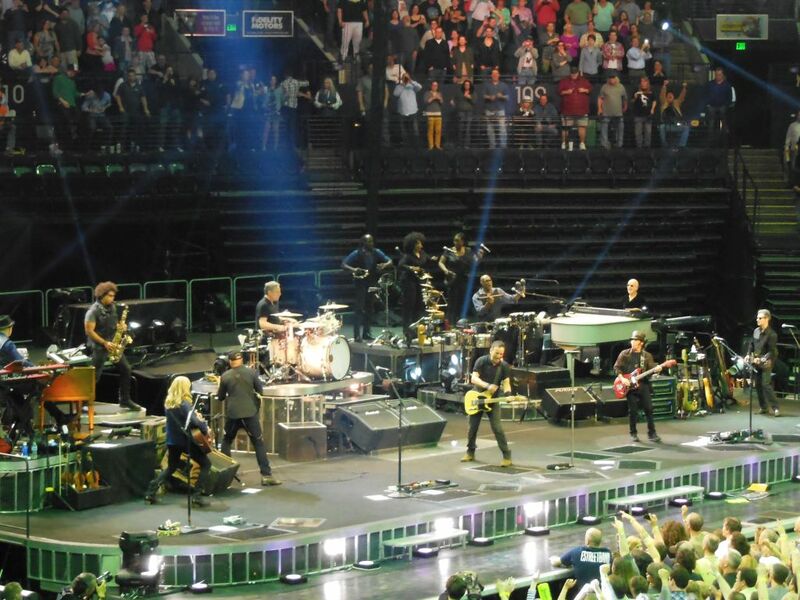 Springsteen has recently added a new twist by occasionally opening shows with a locally-flavored cover version. One such treat was a killer version of AC/DC’s “Highway to Hell” in their native Australia. I felt sure that Nashville was ripe for something like The Lovin’ Spoonful’s “Nashville Cats” or perhaps a Johnny Cash song. All we got at the beginning of the show was the walk-on background music of Tammy singing “Stand by Your Man” before the band ripped into the title track of the new record. The set list overall was a little disappointing for a Springsteen fan like me. While I loved the two cover songs he picked off of the crowd signs, “Burning Love” and “Satisfaction,” there were not any jaw-dropping song choices. 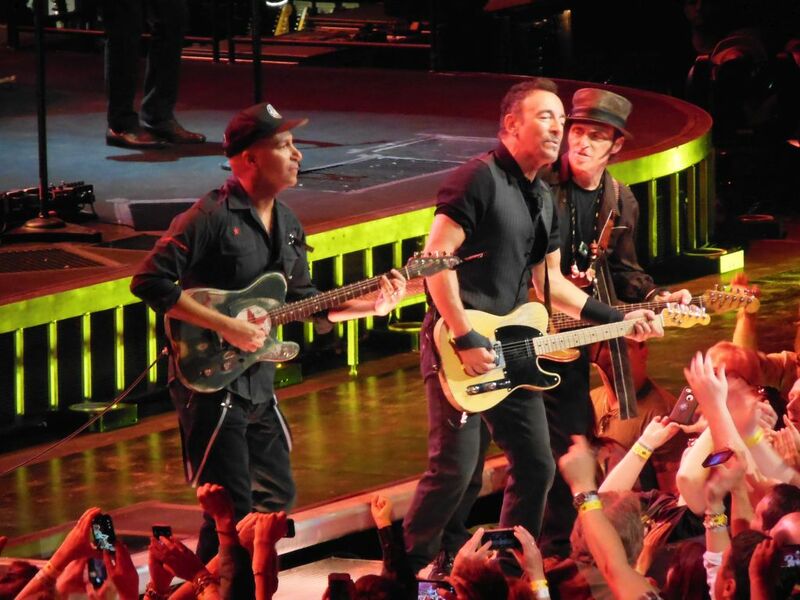 The big surprises of the night were “Point Blank” and the first “Born in the USA” played on home soil since 2009. These didn’t seem like enough. He also played a few songs that I have heard perhaps one too many times. I rationalize, just because I’ve seen Bruce sing “Dancing in the Dark” a few dozen times doesn’t mean he shouldn’t do it for tonight’s first timer. I guess I’m just looking for an extra treat in exchange to balance things out, and it just wasn’t there tonight. 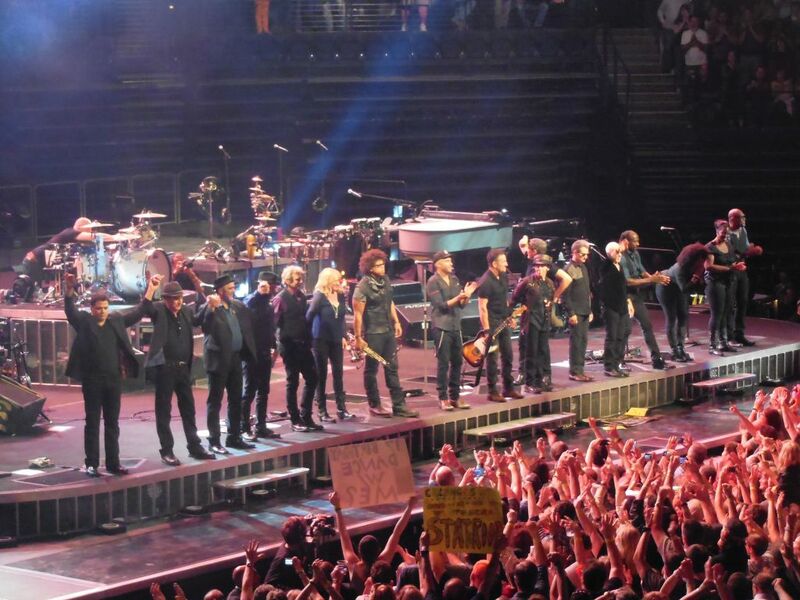 Finally, my thoughts about the E Street Band turn melancholic. 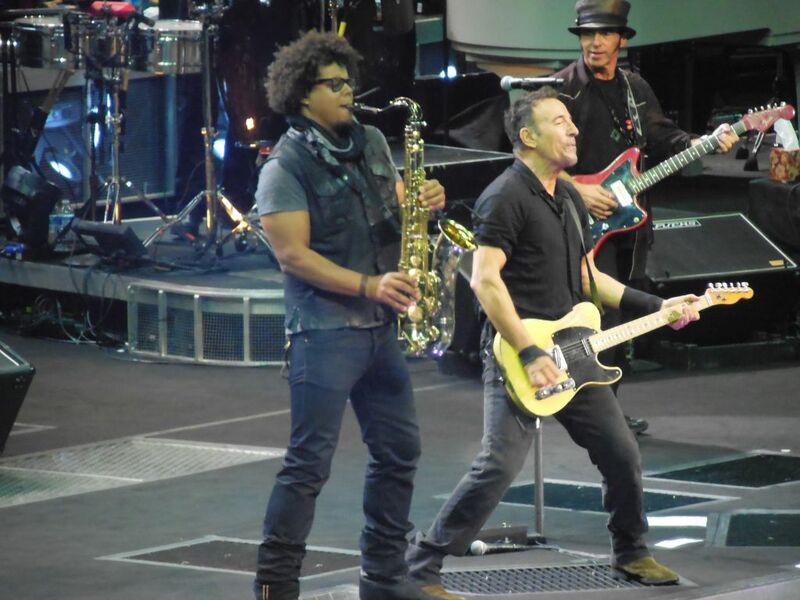 I miss departed members Danny Federici and Clarence Clemons. Little Steven was missing this time (off filming his Netflix TV show) and was replaced by Tom Morello whose wild guitar styling I am not a big fan of. I grew up with these guys, and it was sad seeing three of them missing. His wife, Patti Scialfa, was also missing tonight on backing vocals and guitar. There were 17 of the current tour players on stage including Bruce. For a brief moment though, I got a glimpse of Bruce with a stripped down band. For one number they were down to five members—two guitars, bass, drums and piano. I would love to see him add a sax and tour this way. While most times the Springsteen “wall of sound” works fine, there are times when it sounds a little too chaotic. If this seems like a bad review, it is not. I loved every minute of the show and am so thankful that Bruce is still doing this at age 64.It’s just tough being a die-hard Springsteen fan! I guess I get sad wondering how long he can continue doing this. Life just won’t be the same without getting to experience those magical three hours every so often!